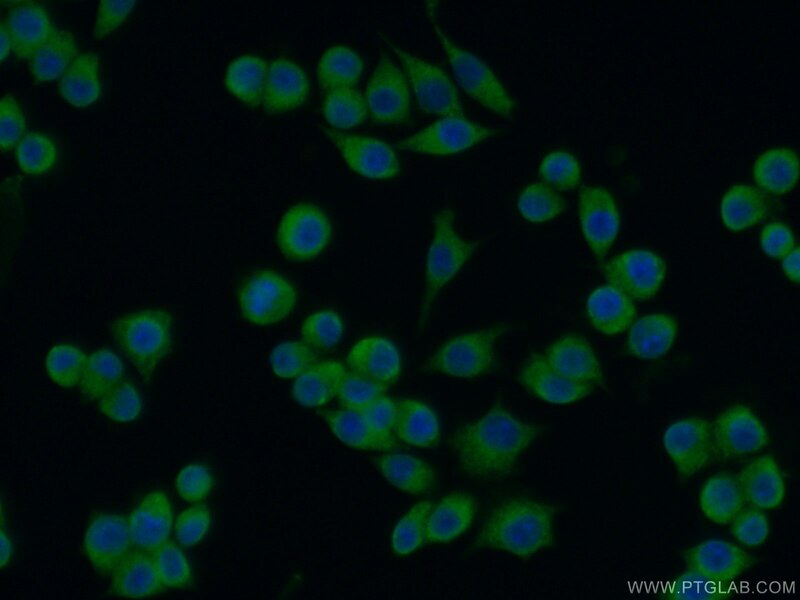 IP Result of anti-TXNL1 (IP:15289-1-AP, 4ug; Detection:15289-1-AP 1:300) with HL-60 cells lysate 960ug. 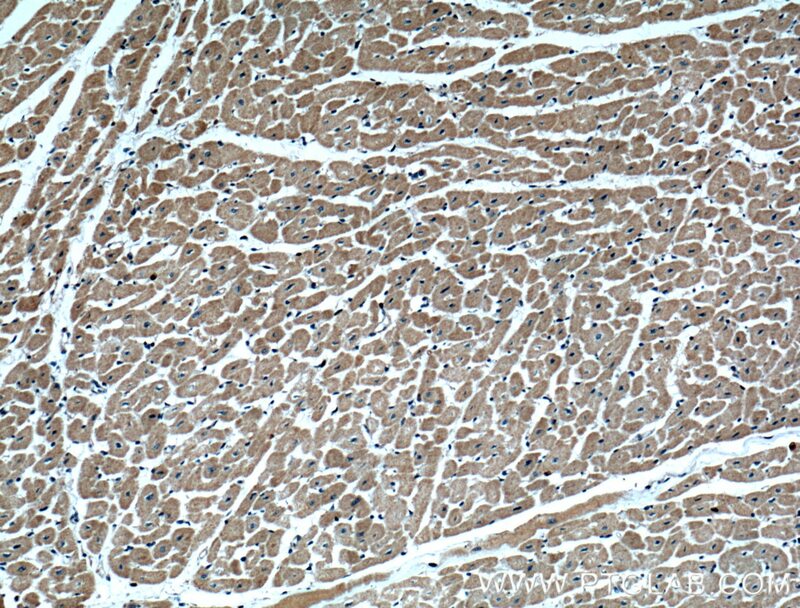 Immunohistochemical analysis of paraffin-embedded human heart tissue slide using 15289-1-AP( TXNL1 Antibody) at dilution of 1:200 (under 10x lens). 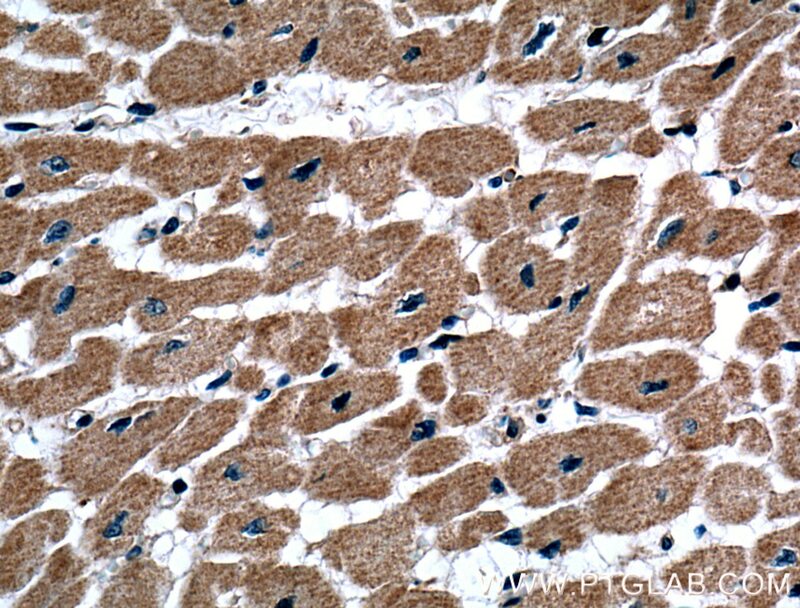 Immunohistochemical analysis of paraffin-embedded human heart tissue slide using 15289-1-AP( TXNL1 Antibody) at dilution of 1:200 (under 40x lens). 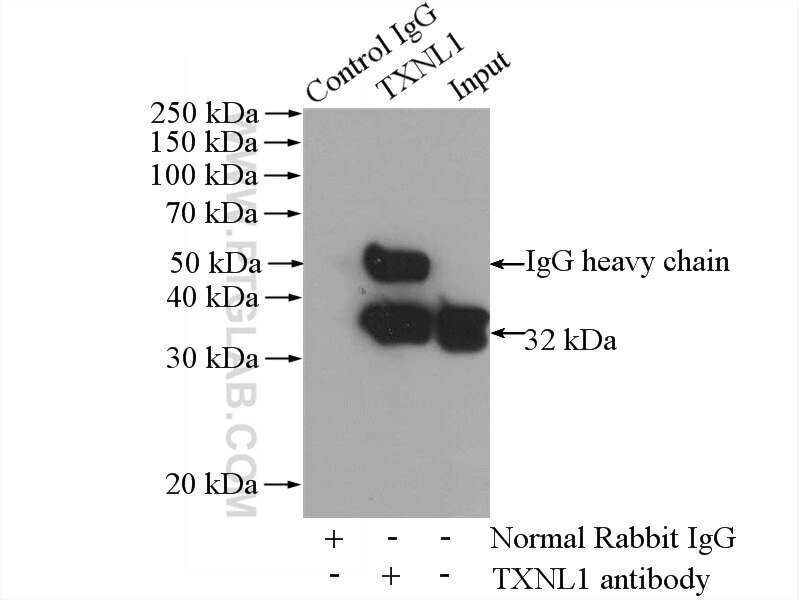 TXNL1(Thioredoxin-like protein 1) is also named as TRP32, TXL, TXNL and belongs to the thioredoxin family. It might be involved in the cellular response to sugar starvation stress. The predicted 289-amino acid, 32.3-kD protein has 2 distinct domains: an N-terminal domain, which is 43% identical to human TXN, and a C-terminal domain, which showed no homology to other proteins in the sequence databases(PMID:9473519).TXNL1 functions as an effector of oxidants or redox sensor that couples oxidative stress to endocytosis, by converting redox changes into a specific GDI:Rab5-mediated endocytic response(PMID:17987124). TXNL1-XRCC1 pathway regulates cisplatin-induced cell death and contributes to resistance in human gastric cancer. Newcastle disease virus V protein inhibits apoptosis in DF-1 cells by downregulating TXNL1. 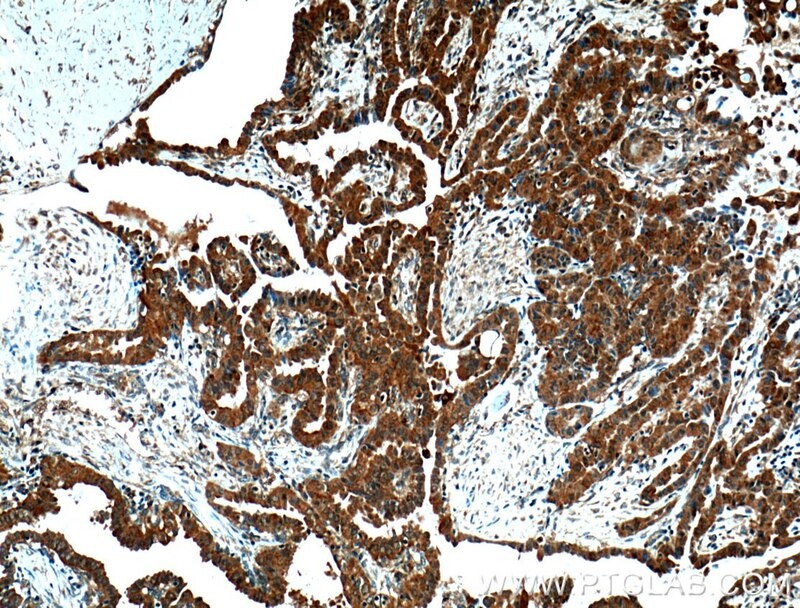 Immunohistochemical analysis of paraffin-embedded human thyroid cancer tissue slide using 15289-1-AP( TXNL1 Antibody) at dilution of 1:200 (under 10x lens). 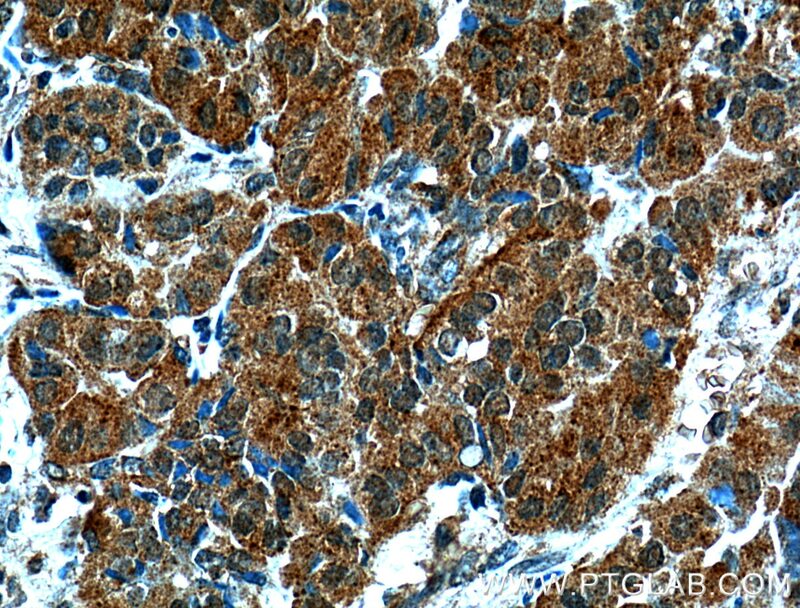 Immunohistochemical analysis of paraffin-embedded human thyroid cancer tissue slide using 15289-1-AP( TXNL1 Antibody) at dilution of 1:200 (under 40x lens).